Spenglish is a fashion brand that was created in the midst of 2006 by Simon Guindi. The company was inspired with the intention of creating awareness to those who seek a nostalgic identity. 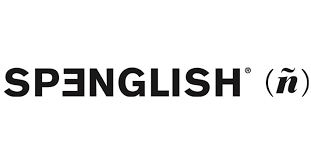 Spenglish is defined as a contribution of ideas, feelings, and solutions to the modern world; a recipe of mindful creativity from a collective conscience. How and why did you start Spenglish? Spenglish was created based on an inspiration on a charity event that I held in Washington DC after the tragedy of the Tsunami in 2004. While I was at break from college I decided to make 30 shirts in Mexico City that said "Do Your Part" in a very retro funky hip style. The t-shirt was simple yet it represented so much. I came back to school and gave it to all my friends on campus, I told them to wear this around for a few days because I wanted to see people's reactions to the shirt. I chose carefully who to give the shirts to, people who I like to call "local celebrities." I explained that a few days after I was going to throw a party and they where going to be the stars of the night if they wore the tshirt.As the news spread, I received hundreds of calls of people all over DC that wanted a shirt! They didn't care what it was for, they just really wanted one, so I had to order a couple of hundred so we could start spreading the energy. The party was a success and my friends enjoyed partying for a purpose. After that night I realized what a powerful approach to shifting my friends' collective consciousness and also what an amazing idea it was for a business! Like that one I have continued to throw more and more parties promoting a healthy and happy lifestyle. We did another Do Your Part Good Karma For Katrina, and here in NY we threw Funk Your Buddha Madreparties all summer long and our most recent the "Spengbreak Party" at Felix Bar in SoHo.Little by little I have been uniting a group of people from all over the world that support, live, and enjoy the Spenglish concept. I come from a blend of magical people and geographical synchronicities. My great grand parents on my mother side all come from a little city in Syria called Aleppo "Halab". On my father's father side its also the same, but on his mother's side, they come from Kiev, a beautiful town in Ukraine.All of my grandparents where born in America, most of them in Mexico City and one Grandmother in Guatemala. I was born and raised amongst the Syrian-Jewish Community of Mexico City until the age of 15. After that, I have been lucky enough to live in positively charged center-points such as San Diego California, Washington DC, and now New York City. My costumer is basically anyone who is in search for meaning and a positive outlook on life. It is focused on the all of those people, who like me, are in constant search of an identity and a deeper understanding of their roots. People who, thanks for the sacrifice of their ancestors are HERE NOW enjoying the fruits of their sweat. People with a higher awareness and a necessity to reconnect with where they come from and where they are going, successful people who want to shift the world's view and prejudices about their race and their choices…and what a better way to do it than with cool, fashionable and bright sense of humor. do you design the tshirts and the spenglish expressions? I come up with all the ideas, I literally jump off the shower to write them down, when I'm inspired, I can come up with crazy amounts of designs. My mind is already in a Spenglish mode so I am constantly twisting and turning words from both languages in my mind in order to give them awhole new meaning! what were some of the challenges you faced starting your own brand? No one said that following your dream is easy, in fact, the harder it got the more motivated I became. I had an amazing opportunity to work in the financial world which has opened my eyes to things I never thought even existed. By taking this job my focus and attention drifted a little from my Spenglish goals. Everything happens for a reason, and this little obstacle helped me realized that promoting well being through fashion was really what I wanted to do HERE NOW. To be surrounded by happy people. To laugh to simply enjoy life. To know that there are people constantly seeking for higher vibrations. Technology inspires me, it excites me to know that every millisecond, more and more information is being posted out there and the more connected we become, the more accessible it is. I love to meet people that experience kindness and that enjoy giving. My family and my friends are continuous sources of inspiration in my life. favorite stores in new york city? favorite places to go out in new york? travel destinations that inspire your t shirt collections? I really look up to a magical woman called Josie Natori, she has been an amazing role model and friend, always helping me keep my feet in the ground. To solidify and replenish identity by using textual art and colorful sense of humor. To manifest values, ideas, and history in such a way that it ultimately becomes a fashion statement. To UNITE all cultures and welcome their presence in the Universe; to guide and to support them in a more modern and bias-free lifestyle. The time has come to raise our voice and rejoice its essence. We must radiate our energy through colors and messages reminding everybody that we are HERE NOW and are part of the solution.